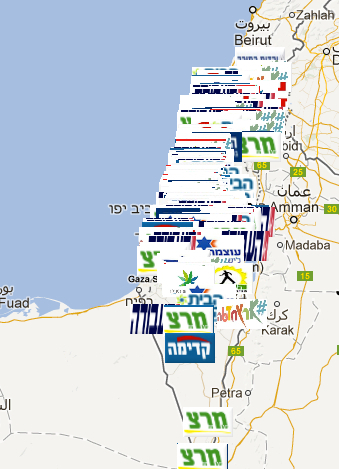 Need Help Following Today’s Israeli National Elections? As you may or may not know, today Israelis head to the polls today to vote in their national elections. Israeli politics are notoriously complicated, and this years elections seem to be particularly…well…screwy. But, for those of you brave enough to try to follow them, here’s a tool for you to use. Now, the site is in Hebrew, so it’s not quite as “fun and engaging” as it could be for us anglophiles. Still, for anyone looking for a snapshot of the Israeli political zeitgeist, this is a pretty good place to start.